Practice those yoga poses steps from the pool at the Global Wellness Day gathering. Practice those yoga poses steps from the pool at the Global Wellness Day gathering on Sunday, June 11. 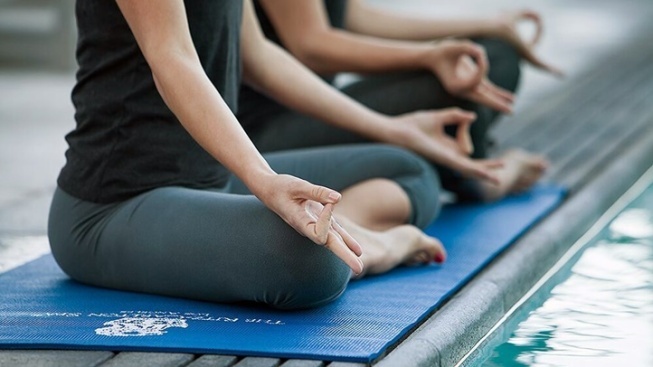 POOLSIDE YOGA, and meditation, too, a 90-minute session led by ERYT 500 Yoga Alliance certified teacher Rachel Jackson. Lunch is a bento box, straight from WP24, and the goodies within will align with the healthy vibe of the occasion. A Garden to Glamorous class puts the focus on the hotel's rooftop herb garden, while a 50-minute treatment at the Spa Sanctuary focuses on those spots you'd like to focus upon (the treatment is your choice). It's $295 per person, for everything, including, as the cherry on top (very on top, as in 26 floors up), those downtown views. Want to reserve a spot at the 9 a.m. to 4 o'clock health-conscious happening? Ring the spa at 213-743-8800.